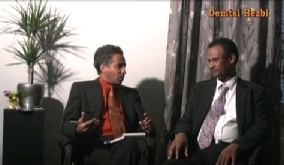 with Eritrean Ex-fighter Mr Ghirmay Haile. 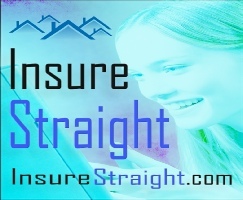 ዝኸበርኩም ተኻታተልቲ መርበብ ሓበሬታ ስኒትና! 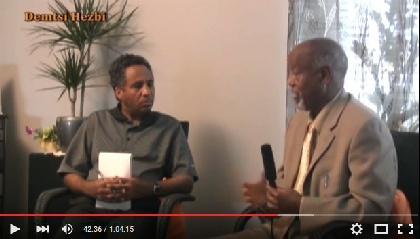 Interviews with Eritrean Senior Veteran and Author of a Book - Mr. Herui Tedla Bairu. 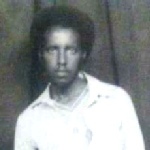 ሓርበኛ ሳልሓዲን ዓብደላ፥ ናይ 1965 ተጋዳላይ ኢዩ፥ ናብ ሃገረ ቻይና ንትምህርቲ ምስ ሓርበኛ መስፍን ሓጎስ ዝኸደ፥ ምስ ተጋዳላይ ኢሳይያስ ኣፈወ ርቂ ኣብ ሓደ ቤት-ትምህርቲ መባአታ ዝተማህረን፥ ሓደ ካብቶም ቀዳሞት ፈዳይን ተሓኤ ዝነበረን ጅግና ኢዩ። ታሪኹን ተመኩሮኡን ኣካፊሉን ሕቶታት ተሳተፍቲ መሊሱን ኣሎ። Saleh-Aldin Abdela from Saudia. 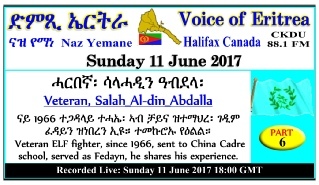 Veteran of ELF Saleh- Aldin Abdela is speaking with voice of Eritrea about his experience with ELF. 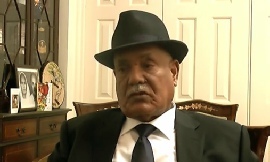 Saleh-Aldin joined the front in 1965 took a course in China with Harbegna Mesfun Hagos among others and with current president of Eritrea in Damascus. 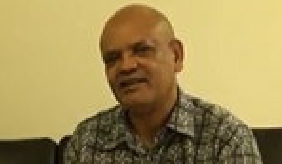 He was also school mate in grade three with P.I.A. 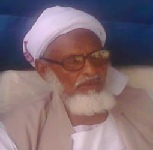 Saleh was among the first Fedayn in Asmara. 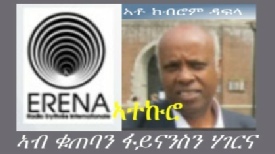 ገዲም ተጋዳላይ ዑቕባይ ተስፋይ፡ ናይ መወዳእታ ኣብ ትግራይ ዝተረፈ ፊዳይን ተ.ሓ.ኤ. 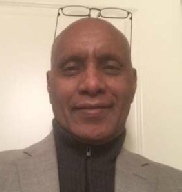 ሰፊሕ ተመኩሮኡ ኣካፊሉ ኣሎ። Veteran Ocbay Tesfay, the last ELF Fedayn in Tigray, will shareድ his extensive experience. 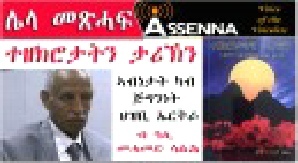 ዕላል ምስ ካብ ንግዳዊ ባንክ ኢትዮጵያ 6 ሚልዮን ብር ንምውጻእ ስርሒት ዝወደበን ምስ ተሓኤ ዝተሓባበረን፡ ዳዊት ኣስገዶም፡ ተመኩሮኡ የካፍል። The 6 million $ Man. 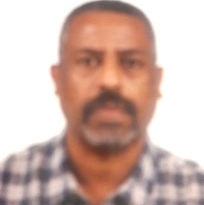 The alleged 6million Eth $ (equal to 2.5 million US$) Bank robbery from Comercial Bank of Ethiopia in Asmara by Dawit Asgedom with cooperation with ELF. 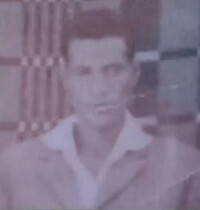 ሓርበኛ ኣቡበከር ዓሊ (ወዲ ዓንተር)፡ ካብ 1965 ኣትሒዙ ሚስጢራዊ ኣባ ል ተሓኤ ኮይኑ ዘገልገለ፡ ካብ 1973 ድማ ኣብ ሜዳ ተሰሊፉ ዝተቓለሰ ገዲም ኣያና ተጋዳላይ ኢዩ። ካብ እዋን መግዛእታዊ ስርዓት ጣልያን ክሳብ ሕጂ፡ ኣፍልጦኡን ተመኩሮኡን ከካፍለና ተዳልዩ ኣሎ። ብኽብሪ ትዕደሙ። Exclusive interview with Veteran Abubaker Ali (Wedi Anter) from Sudia. 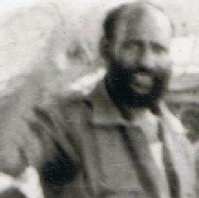 Veteran Abubeker joined underground movement with ELF in 1965 in Asmara and later joined the front in 1973. 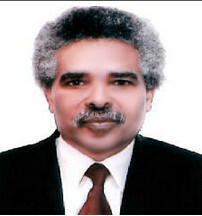 He is going to speak from Italian colony up to present administration of Eritrea. 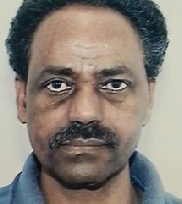 ብኣጋጣሚ ዝኽሪ ባሕቲ መስከረም 2017. 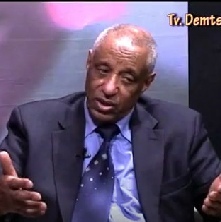 Seminar by Veteran Mohammed Berhan Belata on the occasion of September 1. 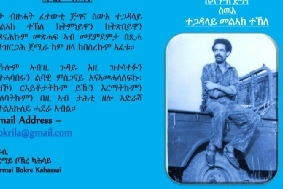 In memory of Martyr Tekly Tsegay (Abdalla) - Short history. 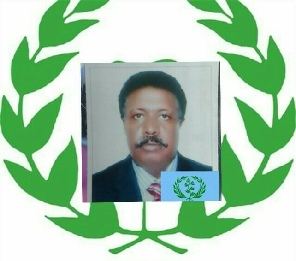 ሓርበኛ ሃይለ ወልዱ፡ ሓደ ካብ ገዳይም ተጋደልቲ ተሓኤ፡ ኮይኑ፡ ክሳብ ሕጂ ምእንቲ ፍትሒ ከይተሓለለ ዝነጥፍ ዘሎ ኣያና ኢዩ። ኣብዚ ብድምጺ ተቐሪጹ ብድምጺ ኤርትራ ዝፍኖ መልእኽቱ፡ ሓጺር ታሪኽ ብመስዋእቲ ዝሓለፉ ጀጋኑ ብጾቱ፡ ብፍላይ ንስዉእ ጅግና ተጋዳላይ ተኽላይ ጸጋይ (ዓብደላ) (ስእሊ ርአ) ኣመልኪቱ ዝኽሩ ኣካፊሉና ኣሎ። Pre-recorded Audio Message by Veteran Haile Woldu, ELF Veteran, shares his memories of his veteran Martyr comrades, and in particular recalls history of Martyr Tekly Tseggay (nicknamed: Abdalla). 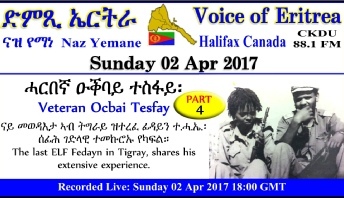 Interview with Veteran Abed Tesfay from Holland. 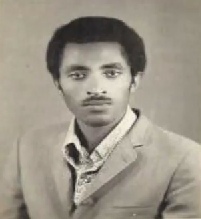 ሓርበኛ ኣበድ ተስፋይ፡ ካብ 1971 -73 ኣብ ተሓኤ፡ ካብኡ ድማ ካብ 1973 ክሳብ ናጽነት ምስ ህግሓኤ ኣብ ንእስነቱ ተጋዲሉ ሰንኪሉ ዓዲ ዝኣተወ ሓርበኛ ኢዩ። ኣብ ዝሓለፈ ክልተ ዓመት፡ እታ "ጻማከ ለከንቱ" እተሰምየት መጽሓፉ ናብ ኣንበብቲ ዘብቅዐ ኤርትራዊ እውን ኢዩ። ካብ ኣበድ እንመሃሮ ተመኩሮ ታሪኽ ሰውራ ኤርትራን ድሕሪ ናጽነት ዝተፈትጥረ ኩነታትን፡ ኣዝዩ ብዙሕ ኢዩ ክኸውን። Voice of Eritrea is pleased to hold exclusive interview with Veteran Abed Tesfay from Netherland. 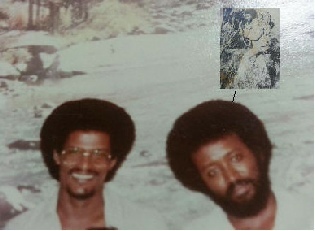 Veteran Abed joined the ELF at his younger age in 1971-73 and the EPLF from 1973 until independence of Eritrea. 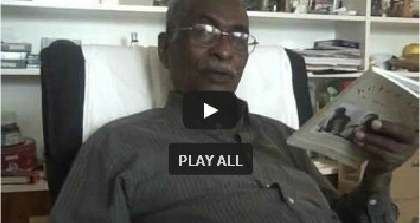 He is author of a book "ጻማከ ለከንቱ" meaning "Sacrifice without reward". Veteran Abed is giving his account as it happened during his time. 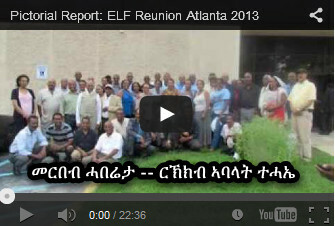 Veteran Seltene Kflay (ELF), shares his experience of ups and downs within the ELF, the dilemma and splitting of opposition groups in Diaspora, the current situation of Eritrea and its remedy. 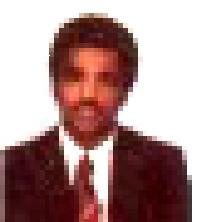 ሓርበኛ ተስፋልደት ኣብራሃ (ወዲ ባሻይ) (ተሓኤ) ተመኩሮኡ ኣብ ሰውራ (ጽቡቑን ሕማቑን)፡ ዘጋጠመ ወጥሪን ምፍንጫልን ኣብ ዲኣስፖራ፡ ህሉው ኩነታት ኤርትራን መፍትሒኡን። ኩልኹም ክትሳተፉ ብኽብሪ ትዕደሙ። All are cordially invited to join. 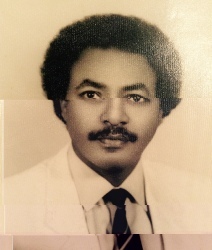 ኣብነታት ካብ ታሪኽ ጅግንነት ህዝቢ ኤርትራ"
ናይ ሰንበት 09-Dec-2018 ጋሻና፡ ገዲም ሓርበኛ ከማል ኢብራሂም፡ ካብ ሳን ሆሰ ኣ መሪካ ኢዩ ክኸውን። ከማል፡ ተመኩሮኡ ኣብ ተሓኤ ከምኡውን ኣብ ህሉው ኩነታት ዘለዎ ገምጋምን ርእይቶን ንተኻታተልቲ ከካፍል ኢዩ። ከማል ዓሚቕ ተመኩሮን ትዕዝብቲን ዘለዎ ሓርበኛ ኢዩ። ክትሳተፉ ብክብሪ ትዕደሙ። On Sunday, 09-Dec-2018, from 2-5 PM Halifax Time, an ELF veteran, Mr kamal Ibrahim, from San Jose USA, is speaking with voice of Eritrea. 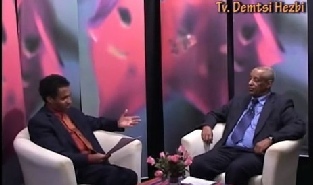 He will share his experiences of the liberation struggle as well share his views on current Eritrean situation. All are cordially invited to join. 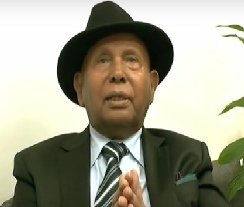 Veteran Gherezghiher Woldu, joined ELF in 1965-66, he was with Welday Kahsay, a group known as "5th line". He shares a rarely told story and experience with us. 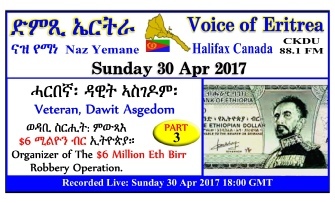 ድምጺ ኤርትራ፡ ንሰንበት 03 February 2019፡ ዕዱም ጋሻና ገዲም ተጋ ዳላይን ተቓላሳይን ረድኢ ክፍለ (ባሻይ) ጋሻና ኮይኑ፡ ሰፊሕ ገድላዊ ተሞክሮኡን ብዛዕባ ህሉው ኩነታት ኤርትራን ምሳና ከዕልል ኢዩ። ክትሳተፉ ብኽብሪ ትዕደሙ። Sunday 03 February 2019 voice of Eritrea is presenting veteran Redie Kifle (Bashay) to learn from his wisdom past and current Eritrea situation. All are cordially invited to join.